My anime watching over June has been slack and the only one I had binged was Chihayafuru. This is my first experience with sports anime, as I have not seen popular titles such as Free or Haikyuu. I am fully invested in this series, who knew a card game could be exciting is what I discovered. The series revolves around three main characters Arata, Chihaya and Taichi, who came together discovering their love for the card sport Karuta. This isn’t a normal card game as Karuta is based upon Japanese poetry, having to memorized and know 100 poems. Chihaya falls in love with Karuta in particular and follows her journey in this unique sport. Currently I am about half way through through season one and have loved every second. The first few episodes managed to make me cry which is quite rare, right at the beginning of an anime. What made me cry was the passion all three main characters had for the Karuta game and their strong emotional friendship with one another. Chihaya the main female lead has grown on me a lot already, her persistent and push nature is hilarious. Quite excited to see what else occurs in this series and my love for sports anime is only escalating. I’m not including a favorite purchase this month, as Chihaya was the only thing I bought this month. We were there has been an on and off read for me during this month. I started reading this randomly because of a bloggers post I read about the anime not being overly amazing. I liked the sound of the plot and have become addicted to this series. The story revolves around a main couple Yano and Takahashi, their ups and downs they have together of their growing relationship. I’m a 1/4 of the way into the manga and I am loving this cute series, Yano and Takahashi are quite a hopeless pair together. It’s been enjoyable to read so far and dying to find out how it all pans out for the pair. If you like intense drama and romance recommend giving this a read!! Some of you may remember my review on Shangri-la and through this series became obsessed with the opening theme song. It’s a really pretty song love the introductory lyrics at the start of the song: No matter where with whatever voice I want to do it somehow! Because Love is crying. Seems this month I had become re-obsessed with this song and anything by May’n I know I’ll love it. Bringing up my Penpal again as she sent me this month a little something else, which I was not expecting. I am in love with this gundam phone charms which I believe they are and cute little sailor moon badge. I have no idea what I’ll do with them probably attach them to some of my bags and same goes for my badge. This is the only other nerdy favorite I have for this month as I never bought myself anything. It’s GUNDAM, I am in love which there is nothing more to say and I need shower my penpal in praise. That is all for my month favorites of June. Ahhh Chihayafurur is like my favourite anime ever. After 2 years I’m still heart-broken that there will be no season 3. I’m still secretly hoping for it (because the anime art and sounds are so much better than the manga presented it in my opinion) but it’s in vain because it’s been so many years since season 2 was aired with no signs of season 3 what so ever. well you never know. My favourite sports anime is actually Haikyuu!! and I just like sports anime in general. Chihayafuru is more of my overall favourite. 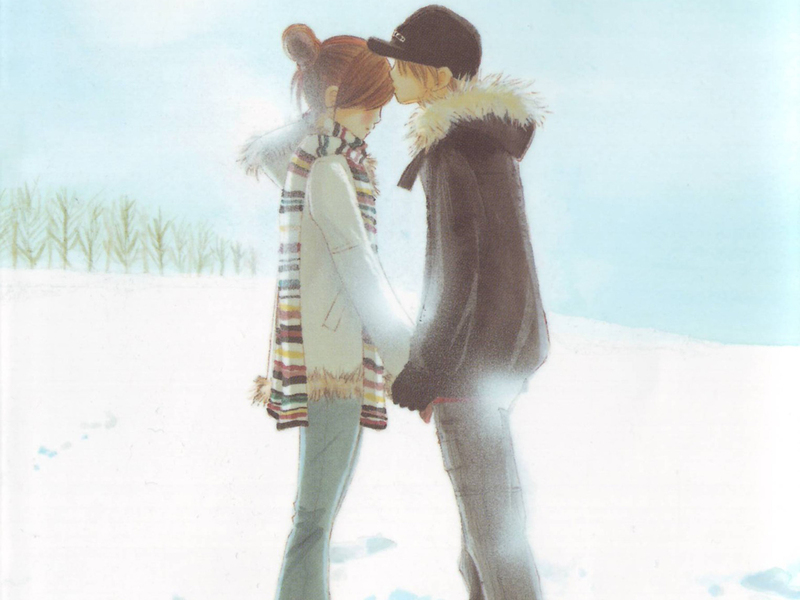 Bokura Ga Ita……. I read the manga. It traumatized me. I don’t think I’ll be able to watch the anime. Ooo what anime are you watching atm? I meant to watch Chiyafuru (or however you spell it). It sounds interesting. And I love we were there. It’s so cute and sweet. The art is pretty awesome too. Love this list!